Jorge Pomar aka Amor recently did an epic new piece at the Monumental Art Festival in Gdansk, Poland. 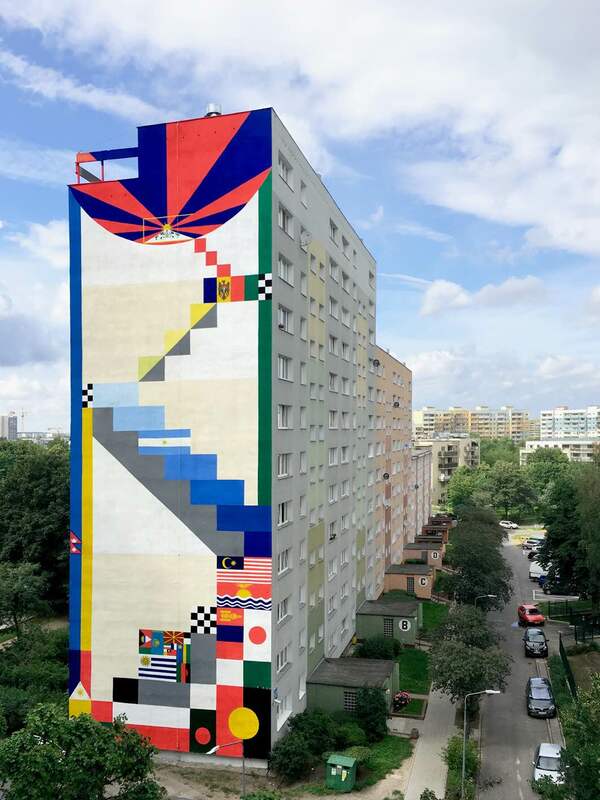 Entitled “Schody do słońca”, which means “Stairway to the Sun”, the piece represents another step in the artist’s examination of international crisis and warfare through the lenses of vexillology (the study of flags), geometry and the study of color. 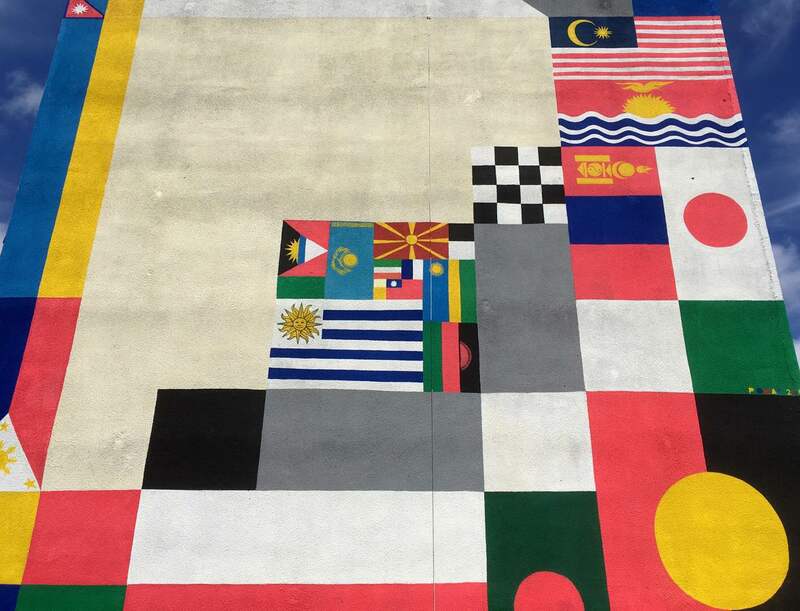 The design for the piece is composed of 20 different flags which contain the sun as element in their design, which are piled up to represent countries united, leading to a clear pathway up to the symbol of the sun. The mural was painted on the side of a building which was once home to Lech Wałęsa, the leader of the “Solidarity” movement, winner of the Nobel Peace Price in 1983, and first president to Poland after the fall of communist regime (1990 – 1995). Countries featured are: Tibet, Nepal, Argentina, Moldova, Malasia, Philippines, Kiribati, Mongolia, Australian Aboriginal Flag, Japan, Bangladesh, Uruguay, Kazakhstan, Taiwan, Niger, Antigua and Barbuda, Malawi, Macedonia, Rwanda and finally Poland. Be sure to check out the interview we did recently with Amor here.